crap. you have to click on it. maybe this will work. ha! Was at the shop til 1am, hanging glass and cleaning. Will take photos and post. I feel like it is my wedding day… been planning & prepping for this for a year. It’ll either fizzle or it will be great. I’m going pray for great. ~ by kellig on November 4, 2011. I met you at the Art Walk last night and wanted to say that your work is just beautiful. As I had told you last night, I have seen your website before and seeing your work in person was wonderful. Your work is even more stunning in person than in the pictures, and your pictures are just beautiful! Congratulations on a great show. You were very gracious and it was very nice to meet you! i hope it went great for you down there.. lets us know how well you did and what sold..
thanks brian. it went well. i am greedy and would have loved to have twice as many people in the shop, but it really was a good turn out for my first time and the location of the shop, which is off the main path a bit. didn’t sell a single thing, unfortunately. kinda miffed about it, lol. 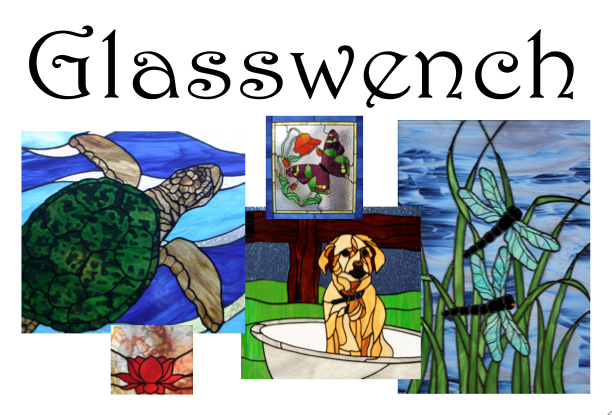 i’m going to put the fishes and sunflower on etsy, under glasswench. see if i can move them for christmas. i think i’ll do it differently for next year. smaller pieces, maybe. i had a lot of great comments, met some neat people, even a couple of local glass artists who i hope to stay in touch with. definitely worth all the effort.